The XA50 Professional Camcorder features a Canon 1.0-inch 4K UHD CMOS image sensor capable of 4K UHD video capture at 60p and slow motion recording up to 60fps in Full HD (30 fps in 4K UHD), making the XA50 camcorder a strong contender for professional productions, creative fields and more. 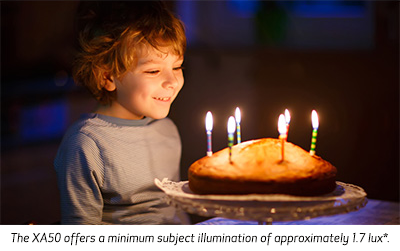 The XA50 camcorder's 1.0-inch sensor allows for larger photosites compared to smaller-sized sensors, resulting in improved images with less noise in low-light situations. 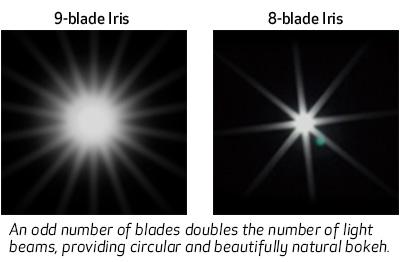 The larger sensor also exhibits a shallower depth of field at large apertures, providing greater depth of field control and creative options. 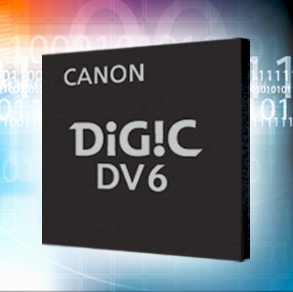 The camcorder's DiG!C DV 6 imaging engine further enhances the high sensitivity and low noise performance of the camcorder. * At 59.94P with Auto Slow Shutter ON and shutter speed at 1/30 sec. 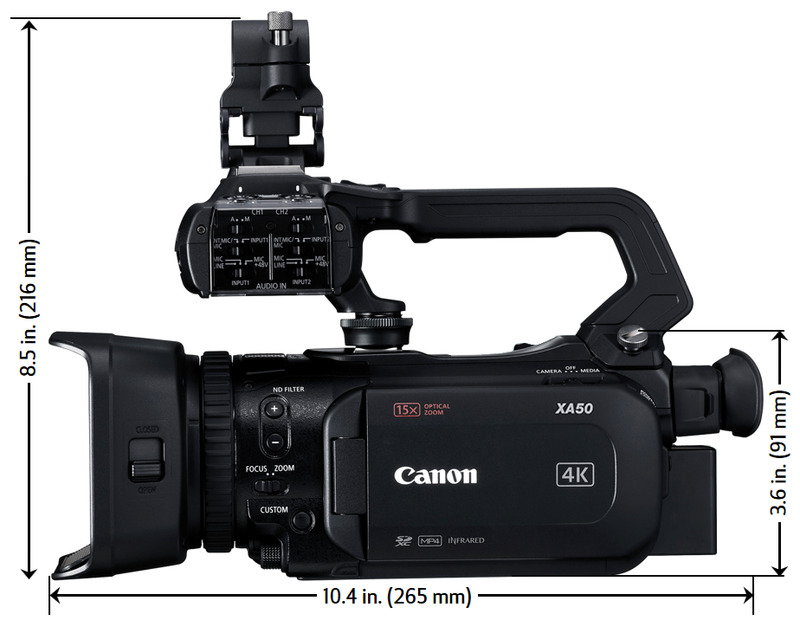 The XA50 Professional Camcorder incorporates a Canon 4K video lens that leverages proprietary Canon optical technologies derived from years of experience in developing Cinema, Broadcast and EF series lenses. Inspired by the same high level of optical precision used in Canon broadcast and photographic lenses, the Canon XA50 camcorder incorporates a Genuine Canon 15x optical zoom lens that maintains 4K UHD quality throughout the entire zoom range, and offers a focal length range of 25.5 to 382.5mm (35mm film equivalent). The XA50 camcorder also incorporates a 5-axis Optical Image Stabilization (IS) system. The optional Wide Attachment WA-U58 and the Tele Converter TL-U58 accessories expand the creative capabilities of the XA50 camcorder. The Wide Attachment WA-U58 offers a 0.8x wider angle of view that enables users to capture more of a scene, especially when indoors or in tight spaces, to lend better perspective to your video narrative. 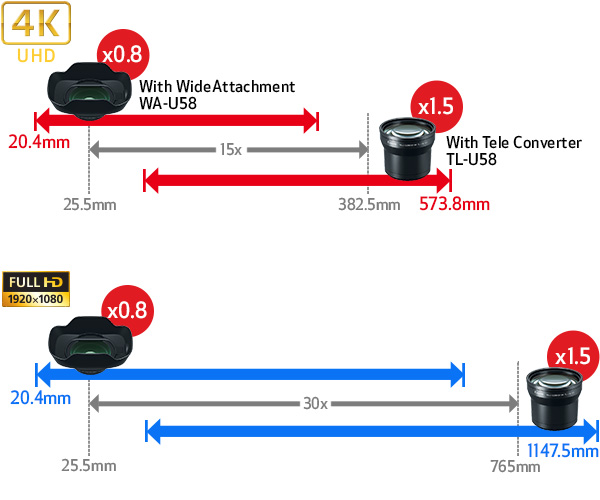 The Tele Converter TL-U58 provides extended 1.5x longer telephoto range for the XA50 camcorder's fixed lens, allowing distant subjects to be captured with brilliant clarity. The XA50 Professional Camcorder incorporates Canon's DiG!C DV 6 Image Processor, which is integral in providing high image quality, advanced performance and convenient operability. 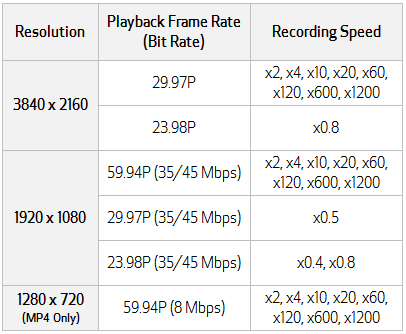 This advanced core technology component provides the image-processing power and speed that enables features such as 4K UHD video acquisition, image stabilization, slow and fast motion recording and precise Dual Pixel CMOS AF. The XA50 Professional Camcorder features Dual Pixel CMOS AF, Canon's exclusively developed high-speed, high-precision autofocus technology. 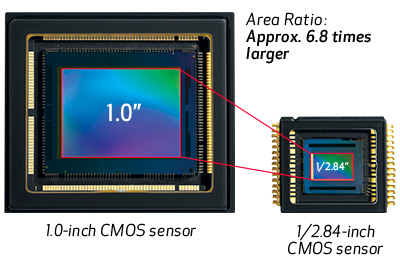 Dual Pixel CMOS AF assists not only with standard shooting, but also with 4K UHD 30p, Full HD 60p and other high-frame rate applications that require crisp frame-by-frame accuracy. The XA50 camcorder's 3.0-inch touch panel LCD enables smooth, intuitive operation of Dual Pixel CMOS AF. 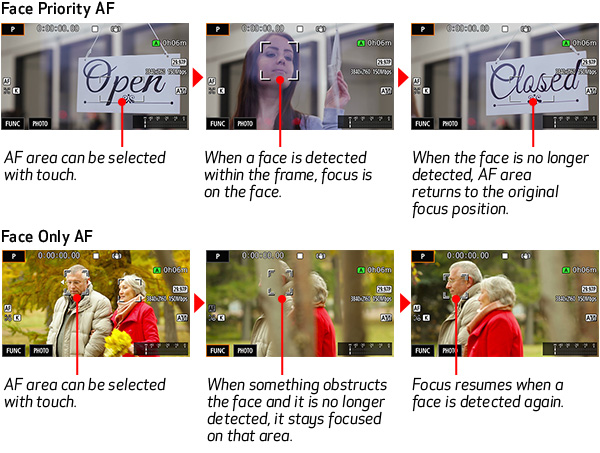 Accurate AF technology can be employed when shooting a scene by tapping a finger on the desired area of the scene you want the lens to focus on. 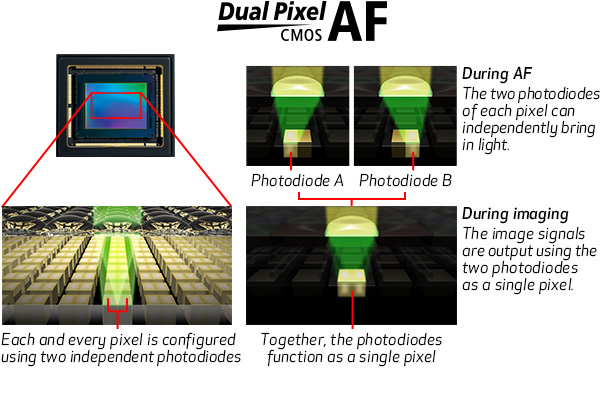 Dual Pixel CMOS AF offers continuous AF within a horizontal and vertical range of the screen of approximately 80%. 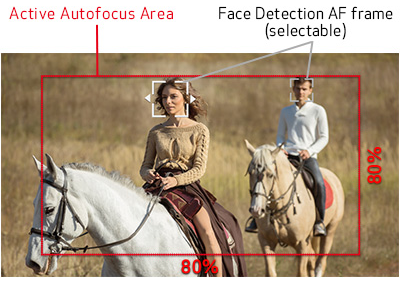 It also provides highly accurate Face Detection AF, which assists during single-operator shooting. 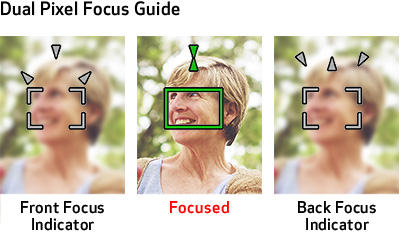 Users can also use the touch panel to move the autofocus target manually. The XA50 Professional Camcorder can record to dual SD card slots in 4K UHD and Full HD resolutions using the MP4 or XF-AVC recording formats. Multiple recording modes, resolutions and frame rates make the XA50 Professional Camcorder creatively flexible and adaptable to a wide range of fields from broadcasting to cinema. 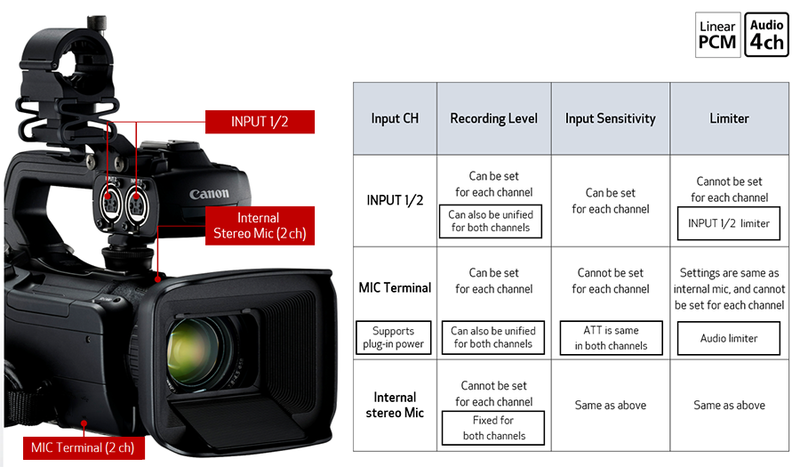 The XA50 features dual SD card slots to allow for Simultaneous or Relay Recording in either the MP4 or XF-AVC format. 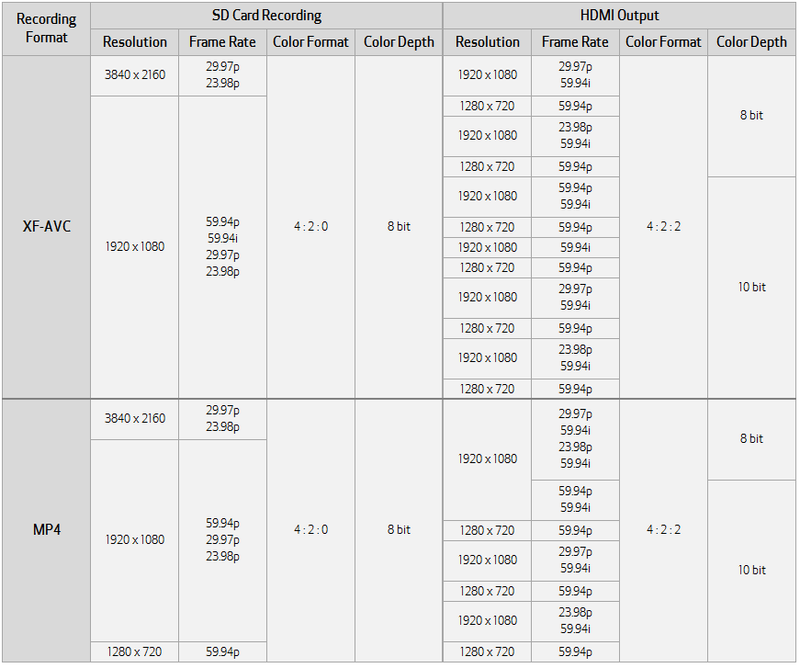 Simultaneous recording allows you to record on both SD cards at the same time, so that you can use one as a backup. The XA50 Professional Camcorder supports slow and fast motion recording, and can record in a different frame rate from playback for slow and fast motion effects. Slow motion recording of up to 60 fps (x0.4) in Full HD (30 fps in 4K UHD) is supported, helping to create an emotionally moving and exciting style of video. 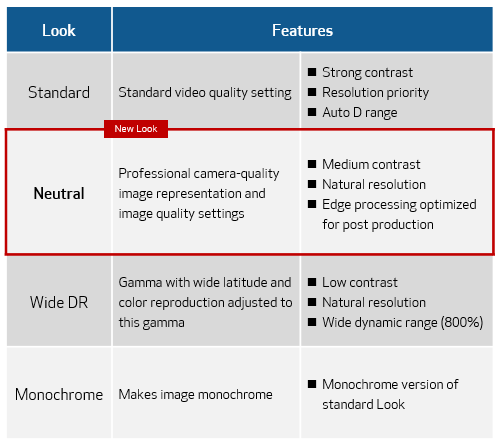 Our Full HD image quality from our XA series camcorder is now even better thanks to Over Sampling HD Processing, which enables Full HD recording by effectively utilizing the outstanding capabilities of the 4K CMOS Sensor. The XA50 Professional Camcorder features a 3.0-inch Touch Panel LCD and a newly designed 0.24-inch Electronic Viewfinder (EVF). 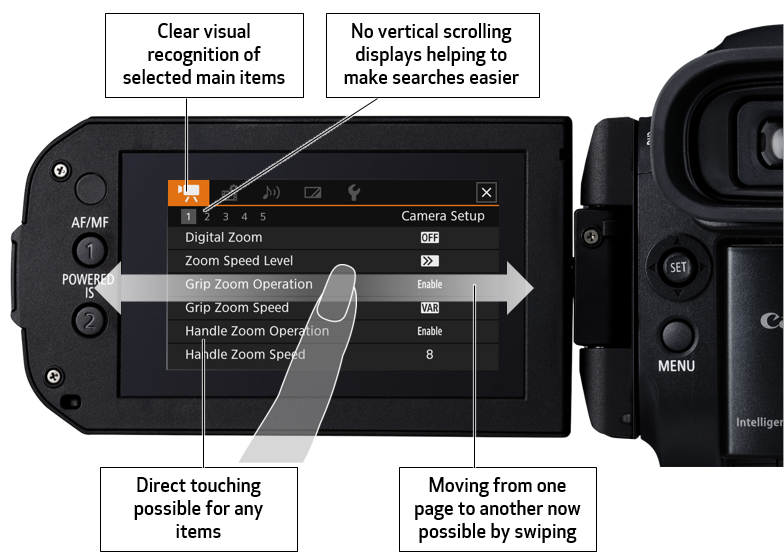 The Touch Panel LCD and EVF provide visual recognition of desired features along with a full array of menu options for controlling camcorder settings. 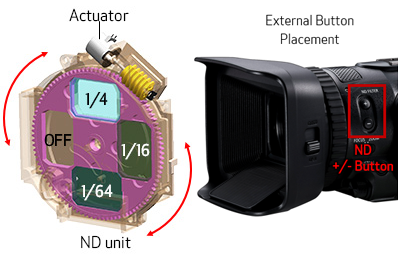 The Touch Panel LCD works with Canon's exclusive AF technologies for easy monitoring and one-finger tap-focusing during shooting and the EVF offers 45° of tilt for more comfortable operation in a variety of positions. The XA50 camcorder features an intuitive menu design for fast and accurate access to desired features. Interactive direct touching and moving from one page to another are also possible by swiping the menu screen. 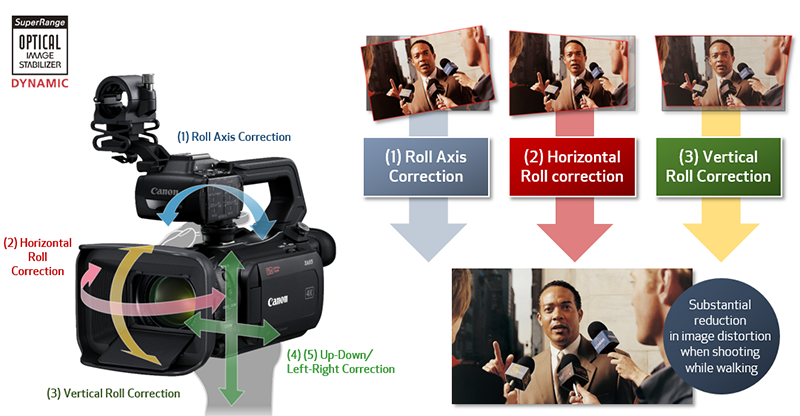 The XA50 camcorder features 5 assignable buttons, in addition to touch-assignable buttons on the upper part of the LCD panel. Users can set them to the features they need. 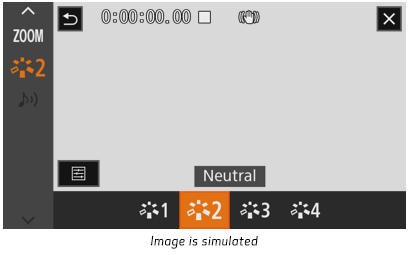 A "Neutral" look setting has been added for professional camera-quality recording. 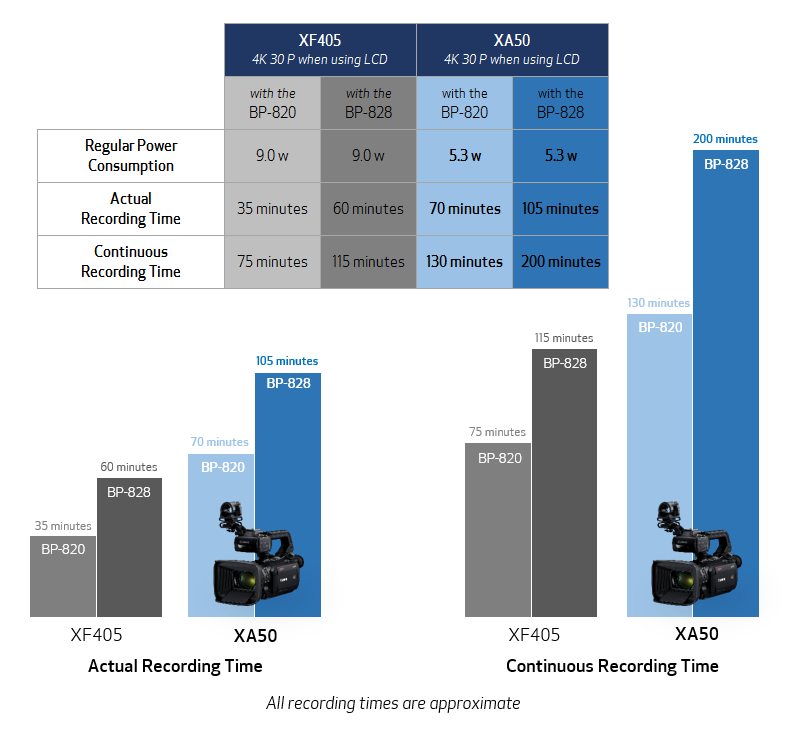 The XA50 Professional Camcorder offers a variety of ways to record audio: through two XLR terminals, an internal stereo mini-jack mic terminal or from the camcorder's internal stereo mic. In addition to AAC 2ch audio, the XA50 offers support for high-quality linear PCM 4ch audio. The on-board 4ch audio independent settings let users set recording levels, input sensitivity and limiters for each channel. The XA50 Professional Camcorder is compatible with Canon's optional RC-V100 Remote Controller, enabling image quality adjustments and other important operations to be set from a distance. 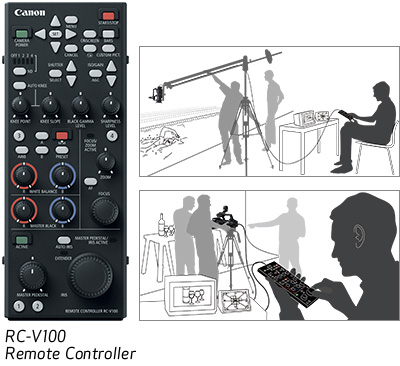 The RC-V100 plugs into the XA50 through the remote terminal on the rear panel. Low power settings offer peace of mind for long recording times. The BP-820 or BP-828 battery allows for over two hours of continuous recording, an improvement over the XF405 model. Weighing only 2.1 pounds (main body only), the XA50 Professional Camcorder features a compact and lightweight design, offering excellent mobility, making it especially useful for on-the-go Electronic News Gathering (ENG) and documentary production applications. The detachable handle unit can be quickly and easily attached to the camcorder body without tools. 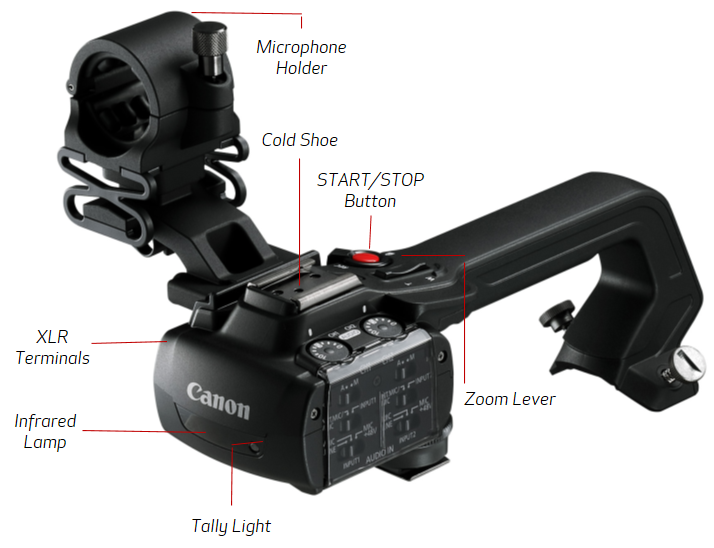 The handle includes a zoom lever, a start/stop record button and two XLR terminals that can be controlled independently to help ensure the proper audio levels are being captured correctly. The handle is also capable of mounting a mic holder and features a cold shoe that can be used to mount a variety of other optional peripherals.